Microsoft today announced that the Surface Go will be available for pre-orders in Malaysia from local Surface authorized retailers*. With prices starting from RM 1749, the Surface Go will officially launch in the market on 28 August 2018. The youngest member of the Surface Family, Surface Go is the most portable and affordable Surface yet. 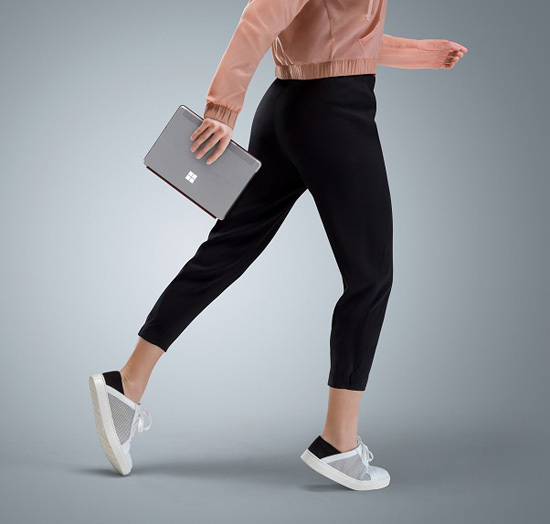 Weighing just over 500 grams and at 8.3mm thin, the 10-inch Surface addresses what people wanted from a smaller device – lightweight, productive and accessible. Powered by a 7th Generation Intel® Pentium® Gold Processor 4415Y, the Surface Go is able to seamlessly launch applications whilst simultaneously running tasks on the background. With up to 9 hours of battery life, Surface Go also has plenty of unplugged power, taking you from work or family projects to relaxing with your favorite TV shows, all on a single charge. 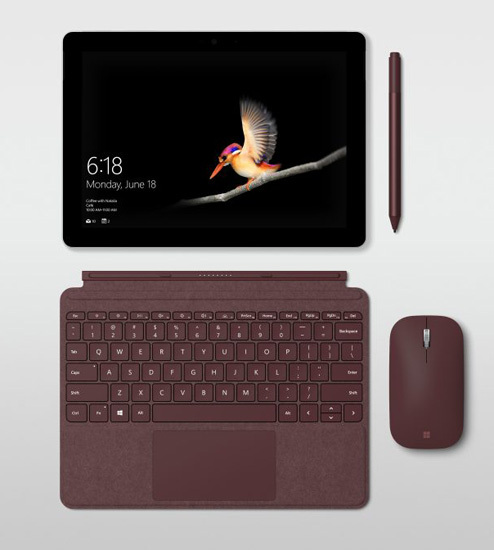 Surface Go allows its users to experience more versatility when paired with the Surface Go Type Cover, the new Surface Mobile Mouse and Surface Pen. Offering a fantastic typing experience with a backlit mechanical keyset, The Surface Go Type Cover features a full-size Precision Trackpad that is made of glass and has five-finger multiple touch support. It’s the perfect balance of sophisticated style and comfort. The Surface Mobile Mouse on the other hand features Bluetooth pairing and an elegant design while the Surface Pen provides low latency, tilt sensitivity and 4,096 levels of pressure. 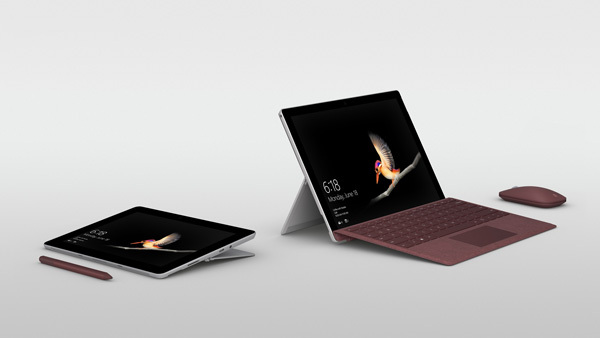 The Surface Go comes in a stylish Platinum color, whereas The Surface Go Type Cover is available in standard black or the Signature Type Cover with Alcantara® in three rich colors — Burgundy, Cobalt Blue and Platinum, allowing you to showcase your individuality to the world. Equipped with a high-resolution 10-inch PixelSense Display, the Surface Go is designed to be touched, viewed, and written on for work or play. It is optimized for superior scrolling and browsing, delivering a bigger, better reading and viewing experience by showing more content on the screen. Delivering quick and secure facial recognition sign-in with Windows Hello, signing-in to the device is as simple as smiling. Available in either Windows 10 Home with S Mode or Windows 10 Pro*, the Surface Go is the best Microsoft has to offer in a 10-inch device. Surface Go and Surface accessories will be available in the following configurations in Malaysia.